10 different grades, 150pcs in total. The higher the number, the finer the grit. And vice verse. 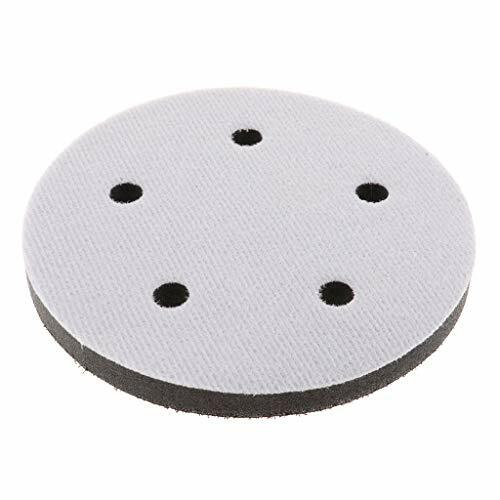 UNIVERSAL COMPATIBILITY - Our 5 inch(125mm) sanding discs fit universal orbital sander, such as BLACK+DECKER, DEWALT, Bosch, Makita, PORTER-CABLE, etc. 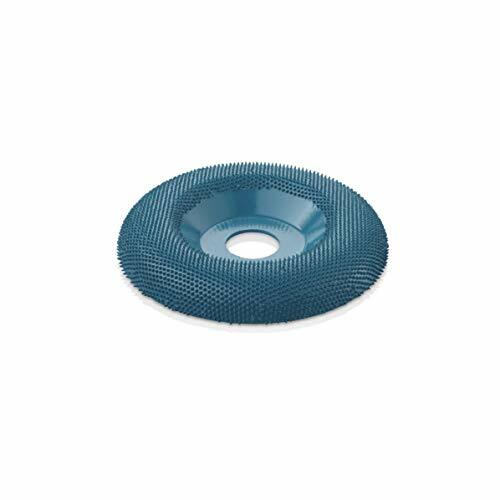 The POWERTEC abrasive cleaner increases your sanding belt and disc life. 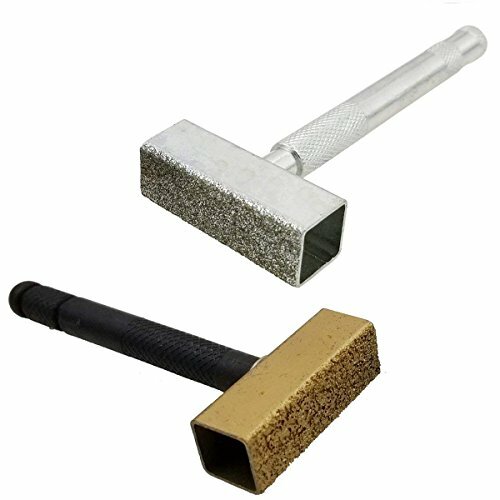 Hold stick against a moving abrasive belt or disc to remove the loaded particles. No damage for your belts and discs. 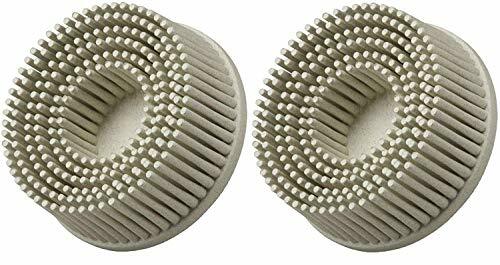 Size: 8-1/2" x 1-1/2" x 1-1/2"
The POWERTEC 71003 Diamond Grinding Wheel Dresser (36 grit diamond chips) dresses your grinding wheels to perfection. 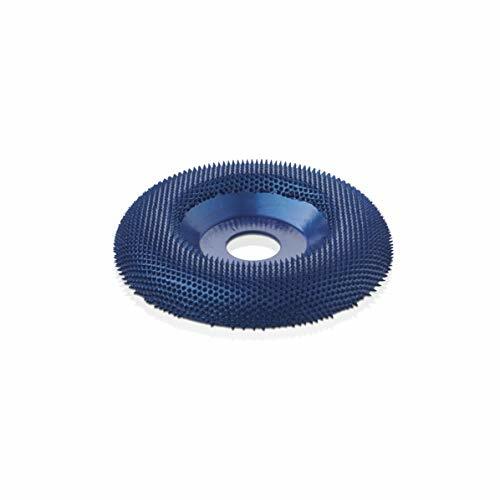 These handy and hardworking accessories expose clean, flat, sharp cutting-surfaces, by clearing the wheel's surfaces of unwanted impurities and debris. Precision truing, or squaring up the face of the wheel, can be executed quickly and easily; just move the diamond surface over the wheels. Solid construction means tool is long lasting. Simple, fast, reliable, satisfying! 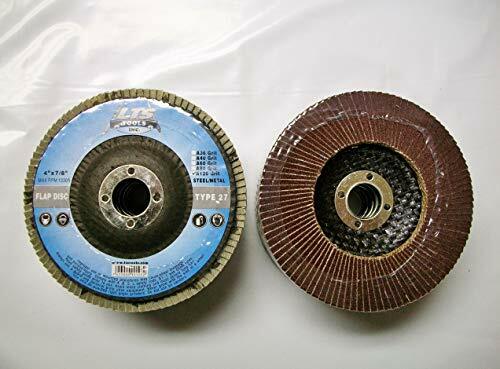 Restores and prolongs the life of grinding wheels. Re-shapes worn Wheels to give true grinding surface. Heavy duty diamond coated head with knurled handle for secure grip. Dresses across the width of grinding wheels to give a flatter surface. This diamond-coated dresser is a simple way of returning your grinding wheel to tip-top condition. width to maintain their balance and ensure a 'true' grinding profile. 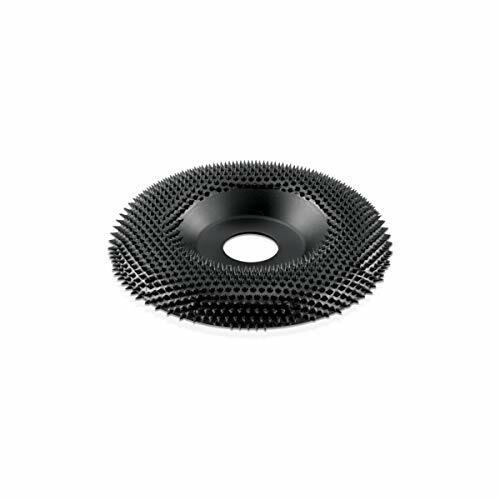 Flat diamond surface helps dress grinding & abrasive deburring wheels to a true flat surface. Makes dressing grinding wheels quick and easy by moving diamond surface across wheel. 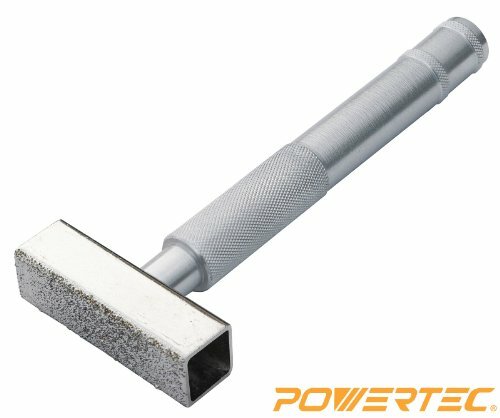 Clears unwanted debris and impurities from your grinding wheels revealing sharp clean cutting surfaces. Overall tool length:10.5cm/4.15in,Diamond surface:4.5cm x 1.5cm/1.77in x 0.6in. Package included Gold Grinding Wheel Dresser and Silvery Grinding Wheel Dresser. Compatible with the R2611 Random Orbit Sander. 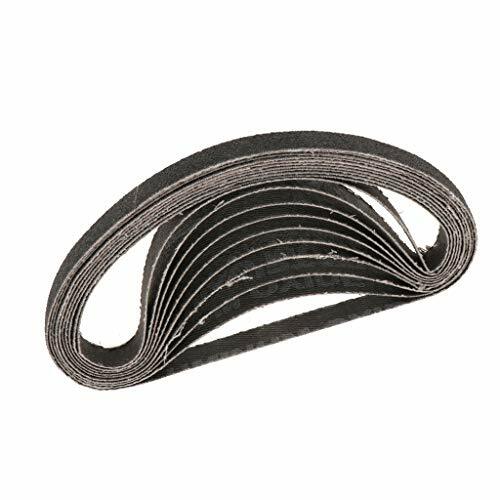 It is a standard hook and loop pad (Velcro) for use with 6 discs. 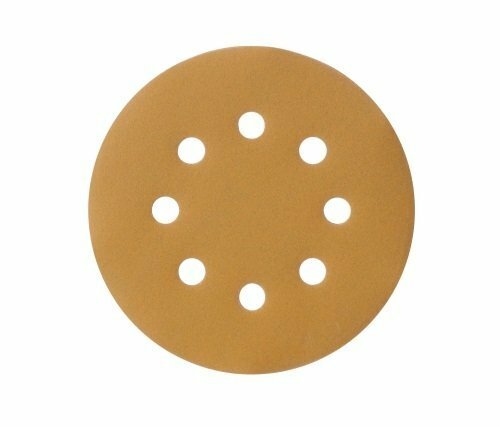 6 dust collection holes that vacuum up the dust and debris into the 300027056 Dust Bag Assembly. 405-048011-18733 Features: -Plastic brush-like bristle disc works with RolocTM system. -Removes very little base material from workpiece. -Shank Diam: 5/8 in. -Style: Roloc TR. Product Type: -Non Woven Abrasives. Dimensions: Overall Product Weight: -0.06 Pounds. Whether you are a casual hobbyist or professional craftsman, Kutzall's durable carbide coatings will last job after job. Kutzall Dish Wheels are the perfect tool for concave shaping - giving you effortless control while saving you time. Their rounded form and rapid cutting action make them excellent for contouring sculpted chairs, large bowls, even dimensional lumber. For free-hand grinding and shaping, you can expect to "Do It All, With Kutzall". These tools are fast-cutting and long lasting, designed to work easily and efficiently where other conventional tools fail. Their tungsten carbide coatings consist of hundreds of extremely sharp teeth that rapidly remove stock and outlasts hundreds of sandpaper pads. They are not prone to loading but may easily be cleaned with solvent or burned clean with a gas torch. Kutzall Extreme tools use more aggressive, free-cutting teeth arranged in a regular pattern of rows and columns. 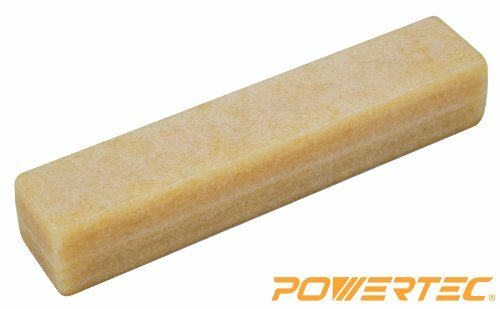 They are the fastest-cutting Kutzall tools on most materials and are excellent for 'heavy hogging' applications. The open patterns of these teeth are very resistant to loading, even on gummy materials. Recommended Max RPM is 15,000. 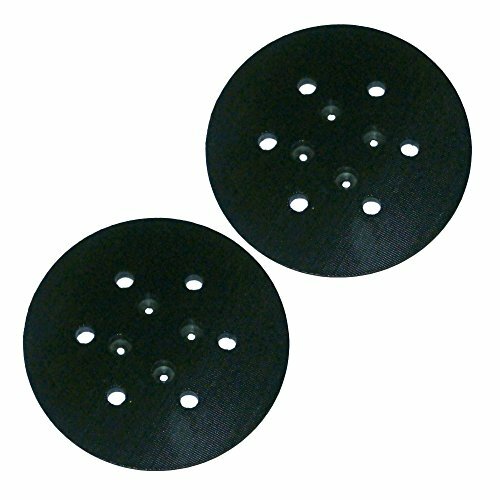 Mounting Instructions: The Discs and Dish Wheels feature a 7/8" I.D. and are intended to mount on a standard electric angle grinder with a 5/8" shaft. They mount on the 7/8" shoulder found on the shouldered bushing or adapter included with most angle grinders. The shouldered bushing is put on the grinder first, followed by the wheel and then the nut. Very Coarse coating provides rapid material removal, saving you time and effort. Comfortable, Effortless Operation - Allowing you to easily and quickly remove a variety of materials. The BLACK+DECKER BDCMTS Matrix Sander Attachment has a compact design for user control for access in tight spaces. Its variable speed allows for precision performance that's right for each job. 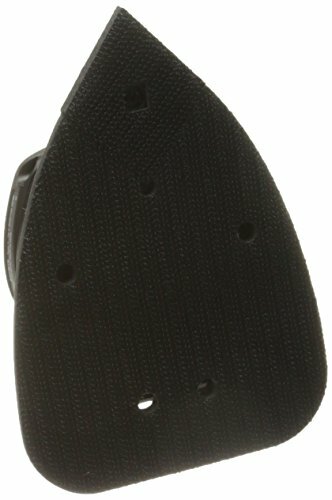 This sander attachment can be used with any tool in the BLACK+DECKER Matrix line including the BDEDMT and BDCDMT112. 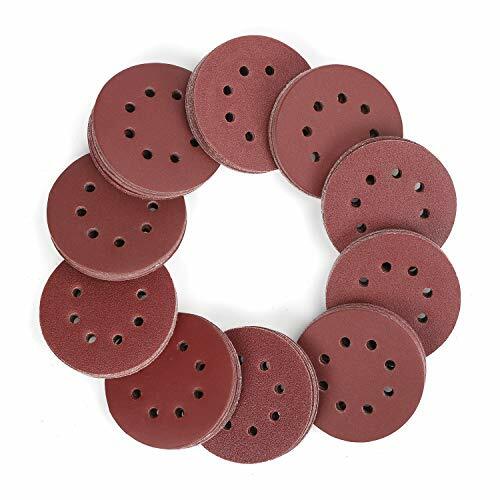 features & benefits: 7, 000-12, 000 OPM variable speed 5" sanding pad 3/32" orbit diameter quick Change hook-and-loop sanding pad The m18 5 Random orbit sander delivers corded power with 12, 000 max OPM output. The 7, 000-12, 000 variable speed dial allows the user more control over the output of the tool to match the orbit speed for the application. The tool s powerful motor allows the user to remove more material per battery charge. The m18 Random orbit sander powered by redlithium battery technology delivers up to 35 minutes of run-time on a m18 3.0Ah battery pack (battery sold separately). Coarse coating provides rapid material removal, saving you time and effort. Medium coating provides rapid material removal, saving you time and effort. Using our 3M Clean Sanding Filter Bag helps achieve maximum utility from your 3M Clean Sanding Discs because we designed 3M Clean Sanding products work together as a system to deliver superior results. Take portable, lightweight dust management to the next level by using a Clean Sanding Filter Bag together with a powerful 3M Self-Generated Vacuum Tool (disc and tools sold separately). APPLICABLE FOR: Auto body panels, hard and soft woods, ferrous and non-ferrous metals, and composites. 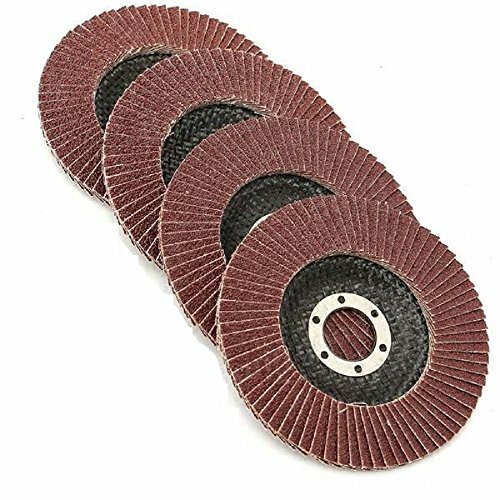 SATISFACTION GUARANTEED Katzco will make sure that you will be satisfied with the flap wheel you buy from us. You are protected with our 100% No Questions Asked Guarantee for either a replacement or refund. We care about only putting out high quality products that satisfy your needs. If there is anything you need that we don't offer we go and find the best for you. - Suit for wood, paint, plastic, gypsum, metal sanding work lights, resin bonding. 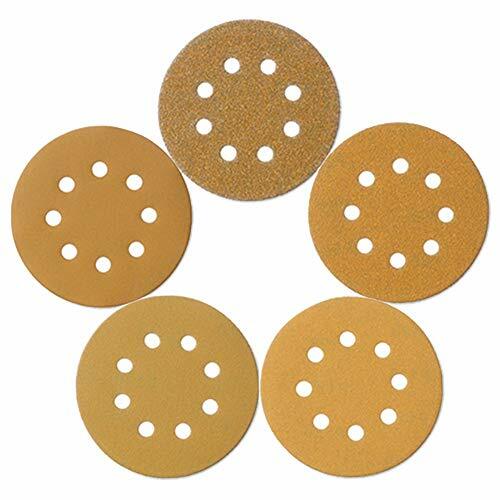 - Premium Aluminum Oxide metalworking material was designed for cutter. 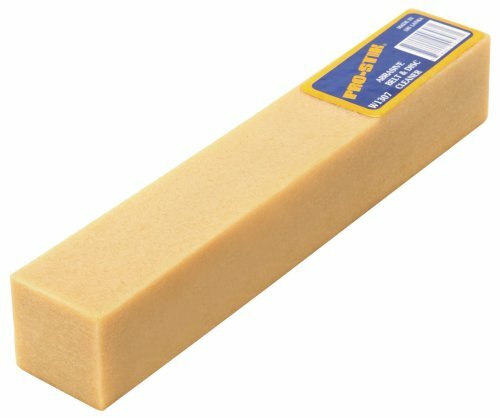 - Fine grits are best for shaping and sharpening your cutter edge. - Make by bi-direction tape joints. Suit for wood, paint, plastic, gypsum, metal sanding work lights, resin bonding. Premium Aluminum Oxide metalworking material was designed for cutter. Fine grits are best for shaping and sharpening your cutter edge. 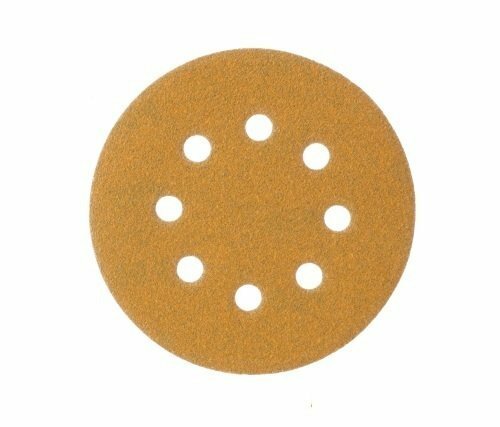 This is a 4" Aluminum oxide flap disc in 120 grit with a 5/8" arbor hole. You will be getting 5 flap discs.